It is a pleasure to see the the railway bridge has finally been fixed to remove the boards with graffiti that were falling apart. This is yet another significant improvement to the environment of the railway station. Let's hope that we don't see graffiti returning to the bridge. Here’s a summary of relevant points made at Lewisham Council’s Sustainable Development Select Committee, 5/10/2006. Please remember that this is based on my personal note-taking and has not been seen or endorsed by the participants. Official minutes will eventually be available on Lewisham’s website. Richard Bourn (London Campaigner, Transport 2000): supports what TfL are doing but has issues with the general approach of Transport 2025, ie the predicted growth in the amount of travel, rather than the number of people travelling. Solutions to ease congestion are locating jobs away from the centre; meeting needs locally and reducing the need to travel; and contra-peak travel, ie encouraging travel in the opposite direction to peak travel. Darien Goodwin (Head of Transport, Lewisham): 2025 looks to make best use of the rail network to increase capacity but this will have downsides for users, eg long trains means further to walk to the ticket barriers, and more standing room means fewer seats. The perception of journeys may become worse because it’s capacity that’s being addressed, rather than customer experience. Destinations who want a Metro-style service, such as Lewisham, may not benefit in the way they expect. Cllr Mark Bennett: assumption that fewer people will want to go to London Bridge? 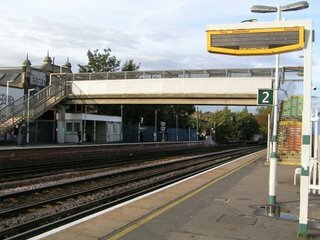 Cllr John Paschoud: do non-stopping trains that go through Forest Hill stop at New Cross Gate? If so could this be a London Bridge/ELLX interchange – which would increase passenger capacity to LB? Cllr Philip Peake: ELLX would run on the same corridor as Thameslink – is there a proposal for an interchange? Paul Dean (TfL): would be looked at as part of the ongoing RUS. Cllr Philip Peake: short platforms at existing ELL stations – is ongoing development taking into consideration future expansion? Would the new stations have longer platforms? Paul Dean (TfL): ELLX will remain a 4 carriage railway. Didn’t know about the new stations – would need to check and respond back. Darien Goodwin (Hd of Transport, Lewisham): issues about Mayor’s powers over long-distance trains, eg enforcing extra stops. It had almost been decided to close Wapping etc stations as part of the ELLX project. Paul Dean (TfL): the Mayor had wanted them to stay open and therefore the project had to go ahead on the basis of a 4 carriage railway. In response to questions on station accessibility, Paul Dean (TfL) replied that, to his knowledge, no major changes would be made and there would be no substantive work to introduce step-free access at this stage. TfL would be responsible for a basic level of facilities at stations – "making stations presentable" – and would concentrate on safety and security. The Committee later decided to invite representatives from Network Rail (a rep had been invited to this meeting but had been unable to attend) and TfL to their meeting on 9 January 2007 for a rail review update. There are a lot of plans still being worked out by TfL, Southern and particularly by Network Rail (who were not present). It does seem that there will be less trains for FH to London Bridge but overall there will be more trains due to the ELL trains. To be fair this will allow easy interchange to Jubilee line (for Bond St, Waterloo, Canary Wharf) as well as interchange as Whitechapel to District and Hammersmith lines (Liverpool Street north east of the squ mile). In addition Crossrail will eventually allow interchange at Shorditch for Farringdon, Stratford and fast access to West London. Speaking to one of the councillors after to meeting it may be that we only have one train per hour direct to Victoria, although more that go to Crystal Palace and Norwood Junction where you can change. At present TfL have no plans in place for taking over management/ownership of the stations on our route, but have requested that this happens. Trains longer than 4 carriages will not be possible on ELL due to the stations at Rotherhithe and Wapping. It would cost vast amounts of money to make these bigger and the only alternative, closure of these stations, was rejected by the mayor. * Increased interchange at stations like New X Gate with the possibility of some more fast trains stopping here (likely to be unpopular with Surrey/Sussex/Kent Councils). * Selling off Network Rail assets around the stations for property developments to fund station improvements. And allowing private developments in close proximity to the stations in return for section 106 money for improvements to stations and surrounding facilities. 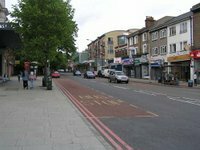 Forest Hill Society blog goes live! 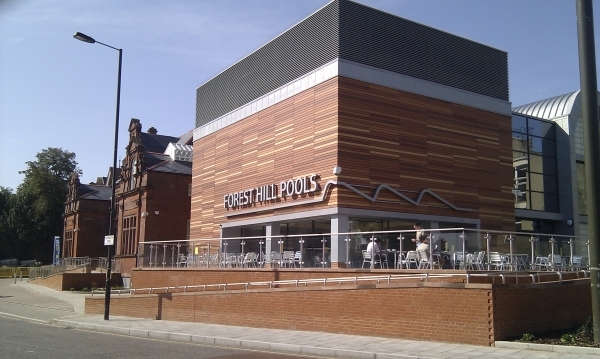 This is the new format for www.foresthillsociety.com to allow us to easily update everybody about developments in Forest Hill related to the Forest Hill Society. Commenting has not been switched on for this blog, this is to encourage people to use the two Forest Hill Community Forums (www.se23.com and www.foresthillonline.org.uk) where more general discussion can take place. I noticed this morning that the guttering has been repair in the underpass which should make the underpass a little better to use, especially in the rain. This follows last week's demolition of a pointless piece of wall at the bottom of the staircase that allowed rubbish to collect and from the smell it was being used as a urinal. Let's hope we see more improvements soon. Latest news (Thursday 5/10/06) - we have seen more improvements - the resurfacing of the bottom of the stair and the surrounding pavement. More good news for Forest Hill.